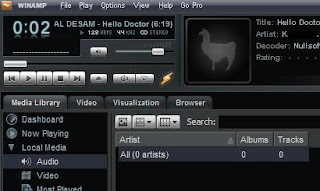 Winamp lovers can now download Winamp 5.54 which has been released. There are a lots of new features added into Winamp 5.54. New features includes Now Playing window which shows Artist Songs, Videos, Radio and Photos, AOL Radio, Expanded Flash video support, Media Monitor and Language packs available in Chinese, Japanese and Korean etc.